Recently, USA-based Apple acquired a patent granted by the U.S. Patent and Trademark Office for its "Exterior Lighting and Warning System" which uses a lighting system to show warnings and information from a car. According to the introduction of the patent, the car lighting system has a control circuitry, one or more sensors and a light-based device. The sensor detects the distance in between cars and if it finds the following car is getting too close, the light-based device will show information immediately. For example, the system could offer the following drivers the necessary distance to brake. Besides lighting function, Apple plans to develop a reflector system around the car which is embedded with light emitters to provide more information for other drivers. The type of light emitter could be LEDs or other light-based technology such as backlight guides, OLED and LCD display panels or light modulators based on liquid crystals. Also, the light-up areas could be in different colors to show symbols, text, numbers, and other patterns, indicating more practical information. The communicating function of sending messages also comes with the system. 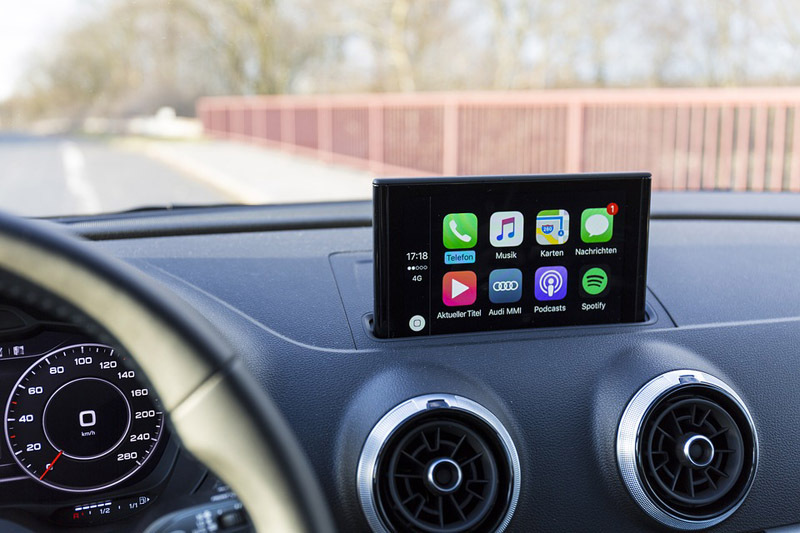 Apple was issued with another patent in last August for a "System and method for visual communication of an operational state" which means a similar function with exterior displays on cars.